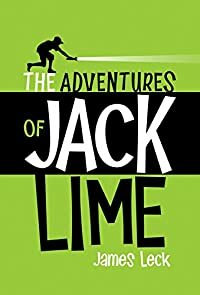 The Adventures of Jack Lime by James Leck: Synopsis and Online Purchase Options. Synopsis (from the publisher): Meet Jack Lime, private investigator, who solves problems for his fellow Iona High students. Sometimes he falls for the dames who hire him, sometimes he falls in the river and sometimes he falls asleep (he's narcoleptic). But rest assured that whether he's tracking down a missing banana-seat bike or a kidnapped hamster, or cracking open a trivia tournament betting ring, Lime will follow every lead.